The Burning Magnetos – Feel the BURN! Team 342 "Burning Magnetos" is a FIRST Robotics team located in North Charleston, South Carolina. Our team consists of fun loving and hard working students who know how to get things done! We are partnered with Bosch located in North Charleston on Dorchester Road. 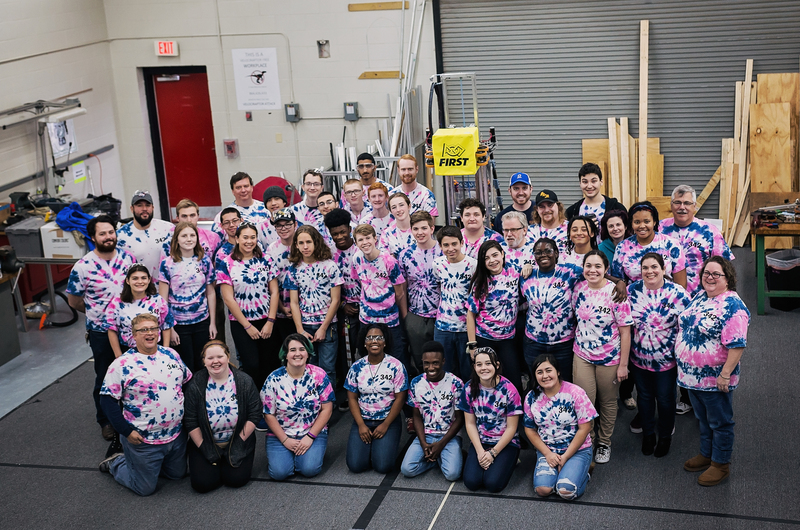 Team 342 works in four sub-teams: Mechanical Engineering (Design, fabrication, assembly), Electrical Engineering (DC controls, wiring), Programming (JAVA), Multimedia & Outreach (outreach, business development, marketing, 3D animation, photography, web-site development, and more). Our goals are to learn about new technology and teach others that challenges in science, technology, engineering and math (STEM) can be great fun! FIRST (For Inspiration and Recognition of Science and Technology) was founded by Dean Kamen in 1989. The objective of the program is to inspire youth to pursue STEM (Science, Technology, Engineering, and Mathematics) while building other life skills like communication, Cooperation, and Decision making. As a FIRST FRC team we have SIX WEEKS to design, build, and program a robot to take to competition. In those six weeks team members learn and develop different skills. But it isn't just robots.